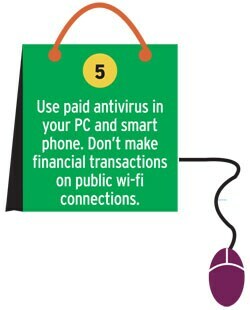 Online transactions are fraught with risks. 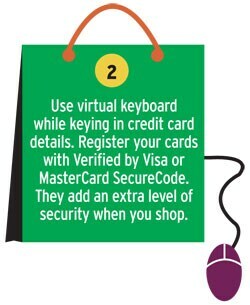 Here are some tips to have a smooth shopping experience. These days you can buy almost anything online, even a house. In fact, even if you plan to buy something from a brick and mortar shop, you would be better off looking up its price and features online. The growing reach of the internet means more and more people are buying things online. A recent Assocham report estimated 350% rise in online shopping this Diwali season compared to the last one. "Delhi-NCR recorded the highest decline in footfalls at malls. Online shopping has been especially harsh for shopping malls," says the report. The main attraction, apart from convenience, is the steep discounts that are available online. The growing size of the ecommerce industry shows that online shopping is catching on. As per a report, 'Evolution of e-Commerce in India', by PWC, "Over the past few years, e-commerce has grown at almost 35% CAGR (compounded annual growth rate), from $3.8 billion in 2009 to an $12.6 billion in 2013. E-retail in both its forms, online retail and market place, has become the fastest-growing segment, increasing its share from 10% in 2009 to 18% in 2013. If this kind of growth continues over the next few years, the size of the e-retail industry will touch $10-20 billion by 2017-20." The benefits of online shopping are clear. But it has risks too. Offline, you can check the quality of the product. But in online shopping, there is a always a risk that the goods delivered are not up to the mark. How can you ensure that you are buying from a genuine retailer? What if the goods don't get delivered? 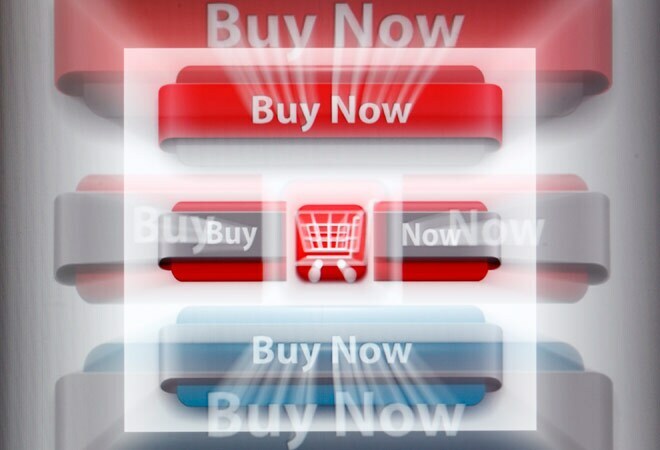 In virtual world it is difficult to identify who is a genuine retailer and who is not. For instance, last year, the CEO and founder of timtara.com was arrested for fraud after people complained they never got the goods they paid for. You may not get refund if you do not return the product on time. Ankur Singla, CEO & founder, akosha.com, an online consumer forum, says, "A major chunk (38%) of complaints that we receive relate to payment/refund issues. Many complainants say the amount is not reflected in the bank account despite the refund mail." "We also get complaints related to payment gateway issues. Sometimes the card is charged but the transaction is not acknowledged," says Singla. "Around 27% complaints relate to deficiency in delivery and involves issues such as delay, order mismatch, size, quality and packaging," says Singla. He says around 20% complaints are for damaged/faulty products. >> Buy from trusted websites: "Shop from trusted sites, those that have credibility and are well-known," says Radhika Ghai Aggarwal, co-founder and CMO, shopclues.com. "While shopping online people generally do not check the website's credentials and give all personal and financial information. One must check the site's brand value," says Vikram Chopra, CEO & founder, fabfurnish.com. >> One must do a stringent background check. See if the registered office address is mentioned on the site or not, along with a valid landline number. The absence of these details could mean you're buying from a company with dubious credentials and there is a chance of you never getting delivery or getting sub-standard goods," says Singla of akosha.com. >> If you have not heard about the site before, be careful," says Harinder Takhar, CEO, Paytm Labs. 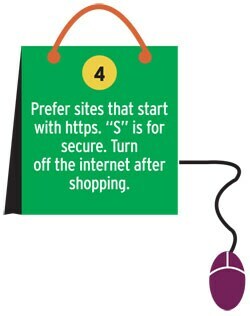 Prefer web addresses with 'https://', which means the site takes extra measures to secure your information. 'Http://' is not very secure. >> Check the certificate of the shopping site to ensure that it is genuine before you do any transaction", says Chitra Pandeya, group president & country head, Liabilities Management, Cards & Direct Banking, Yes Bank. >> Read return/refund policy. You should check the period during which you can return the product without any charge. Also, see how much time the seller takes to refund the money? It is advisable to use credit card instead of debit card. "Credit cards are generally the safest because they allow buyers to seek credit from the issuer if the product is not delivered or isn't what was ordered. 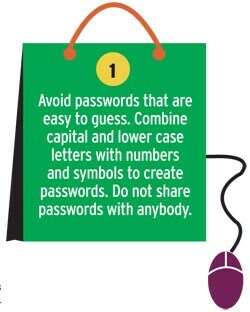 In addition, in credit card, there is a limit on the amount you will be responsible for if your information is stolen and used to defraud you," says Paul Abraham, COO, Indusind Bank. >> Look at consumer feedback from other websites. One can find feedback on the same website as well but it is possible that the company has written the reviews on its own. So, it's good to check consumer blogs or forums. >> Locate and note phone numbers and addresses of vendors so that you can get in touch with them in case there is a problem with the transaction," says Abraham. >> Use the cash-on-delivery option. Your money will not be blocked if you want to return the product. >> Keep a record of your order. "Save records of online transactions, including product description, price, receipt and copies of mails exchanged," says Abraham. >> Be wary of offers which look too good to be true. 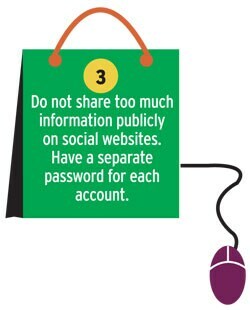 Be cautious about offers if they require you to act immediately and part with too much personal information. >> Always check for shipping charges. They may not be explicitly mentioned while you are placing the order and may make the product more expensive than the offline.